They garnered the support of an additional 33 Representatives from both parties to augment their request. That’s a total of 35 of the 65 Representatives in the State. 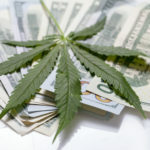 The request was submitted for approval by the Legislative Council , chaired by Rep Crisanta Duran who was called out by the Marijuana Accountability Coalition (MAC) March 9th as one of the top five recipients of funding from the marijuana lobby. Another member of the Legislative Council is Dan Pabon, another top five recipient of funding from the marijuana lobby, according to MAC. The Legislative Council heard the request April 26th. All Democrats and one Republican on the Council voted to deny the request to form the study session. The denial effort within the Council was reportedly led by Pabon. It seems the marijuana lobby believes any airing of DUID facts would implicate marijuana as the culprit which would be uncomfortable. The facts reveal that marijuana is one of many culprits. Chalk one up for Colorado’s marijuana lobby.